A new EEG study conducted on college students at American University found they could more highly activate the default mode network, a suggested natural “ground state” of the brain, during their practice of the Transcendental Meditation technique. 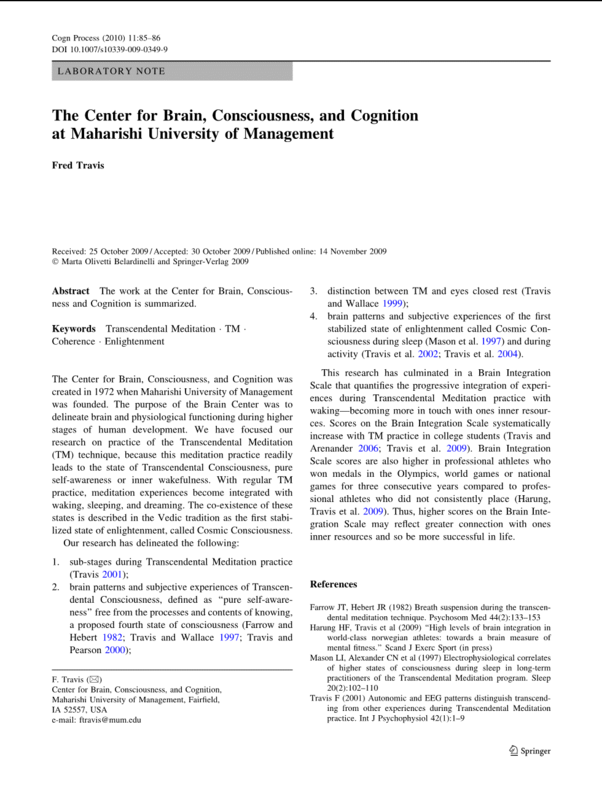 This three-month randomized control study is published in a special issue of Cognitive Processing dedicated to the Neuroscience of Meditation and Consciousness, Volume 11, Number 1, February, 2010. 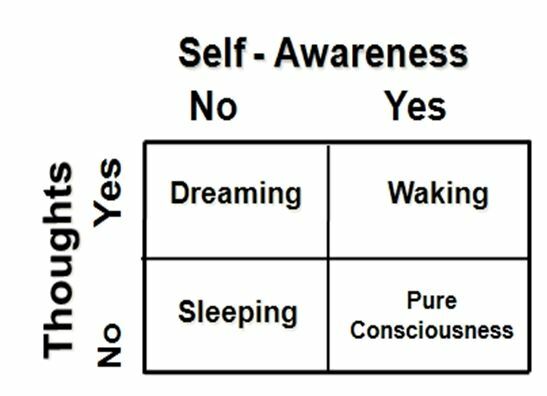 Produces a unique state of “restful alertness,” as seen in the markedly higher alpha power in the frontal cortex and lower beta and gamma waves in the same frontal areas during TM practice. Creates greater alpha coherence between the left and right hemispheres of the brain suggesting the brain is working as a whole. 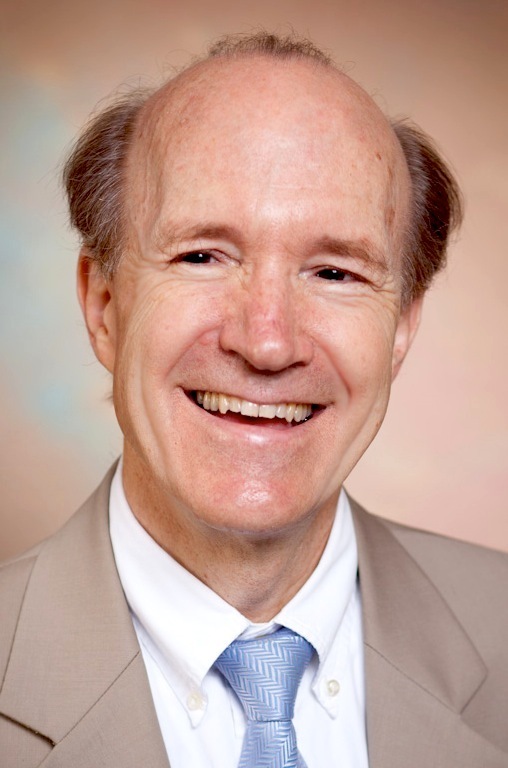 “The finding of significant brain wave differences between students practicing the Transcendental Meditation technique and those simply resting with their eyes closed is especially convincing because subjects were randomly assigned to conditions, and testing was conducted by a researcher unaware of the experimental condition to which the subject had been assigned,” said David Haaga, Ph.D., coauthor and professor of psychology at American University. Previous published research, funded by the NIH, shows TM practice decreases high blood pressure, atherosclerosis, cholesterol, stroke, and heart failure. 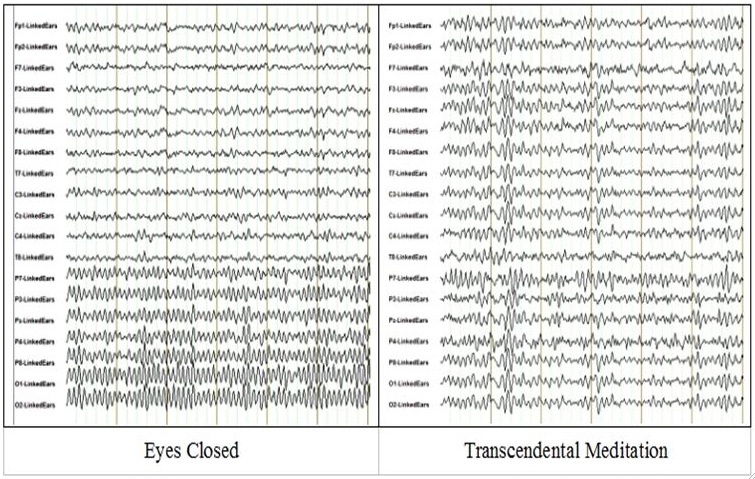 These raw EEG tracings during eyes-closed rest (left) and Transcendental Meditation (right) represent 18 tracings over 6 seconds. The top tracings are from frontal sensors; the middle tracings are from central sensors; the bottom tracings are from parietal and occipital sensors [back]. Note the high-density alpha activity in posterior leads during eyes-closed rest, and the global alpha bursts across all brain areas during Transcendental Meditation practice. These are eLORETA images of sources of alpha EEG during TM compared to eyes-closed rest in the default mode network (the white areas).